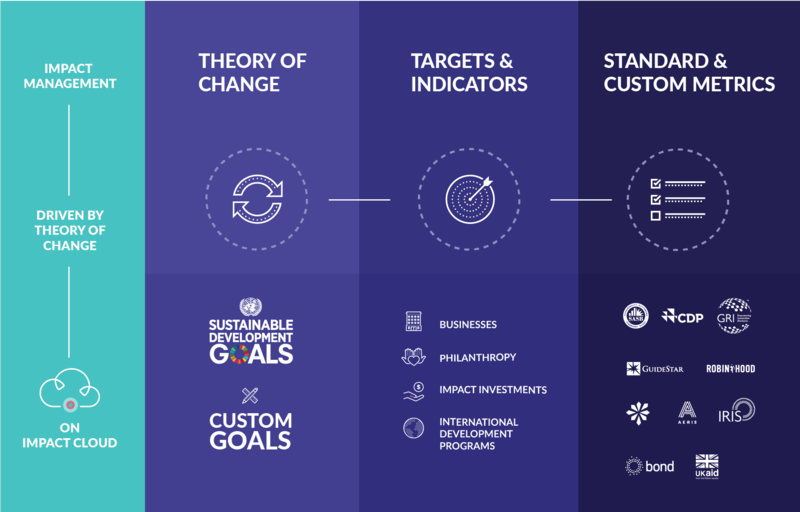 They range from topics as diverse as How Impact Management is Now Within Reach, Aligning Impact Reporting to the Sustainable Development Goals, 5 Tips To Get the Most out of Salesforce for Nonprofits, to How to Leverage SaaS Technology for Social Good. In case you missed them first time round, here’s another chance to take a look at SoPact’s most-read articles of 2017. Across sectors, organizations are realizing that measuring and communicating impact isn’t just about satiating a moral imperative, it is fundamentally linked to sustainable value creation. And yet, while this commitment is growing, the know-how for execution may still be lacking. "I want to learn from impact data but isn't impact data collection and aggregation is expensive? The answer? It doesn't need to be. Even though it is a common belief among mission-driven organizations that social impact measurement is too cost intensive, let us see why we can not get away from the need of data management tools and how instead of postponing it we can invest in it. And time is right now as finally, we can leverage new age technology. Successful mission-driven organizations artfully articulate impact to a variety of audiences. And they are often “multilingual” in doing so, because with varied listeners comes a need to speak multiple impact languages. The key to achieving proficiency in that journey is first to understand which impact language will best serve your needs and those of your audience. It used to be that wealthy donors were happy sending an annual check, trusting in charitable organizations to use funds effectively. Now they want to be more involved and more targeted in their giving. This is certainly a welcome change. The families who give together through Donor Advised Funds want to target those funds making an effort to have measurable impact. They are becoming 'high impact philanthropists.' How might Donor Advised Funds engage these high impact philanthropist? There's a Catch-22 in impact assessment. Funders choose metrics based on the varying capacity of grantees. To measure consistently, this capacity is only as good as the weakest link. Paired with the limited data-capacity faced by the funders themselves, this results in the low hanging fruit of the data world and translates into the selection of easy-to-measure activity or output focused metrics. Social sector organizations have been notorious about building custom solutions for managing their internal data (except for fundraising products) such as program, client and stakeholders. In the last few years, mission-driven organizations have been adapting technology to streamline their core processes, such as grant management, donor management, and community engagement. The United Nations (UN) Sustainable Development Goals , also referred to as The 2030 Agenda for Sustainable Development, is a set of 17 Global Goals, 169 associated targets, and 230 individual indicators. This international collaboration between 193 UN Member States and global organizations and agencies is outlined in the UN Resolution A/RES/70/1 established in September 2015. The most important element to an enduring selection of social impact metrics is the foundational impact framework that supports it. We need a strong impact measurement framework before we know which metrics will serve our needs. You can learn all about how to establish your impact framework here: Actionable Impact Management (AIM) Volume One: Groundwork. Like a business, nonprofits can also use Salesforce to streamline workflows, benefiting both internal and external stakeholders alike. Nonprofits effectively using Salesforce manage donation cycles, analyze fundraising campaigns, generate detailed reporting, and any number of other processes.